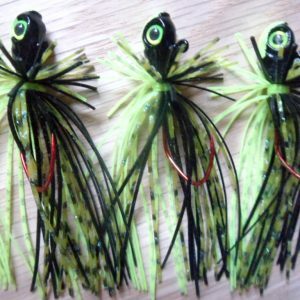 The BHO 2.0 Mega Shake Jig combines the pulsating/erratic action of a bladed jig with the flash and noise of the BHO 2.0 blade assembly to create one exciting and action packed bait! The all new BHO 2.0 blade assembly has a more consistent spin that provides these baits with a little more noise and flash! 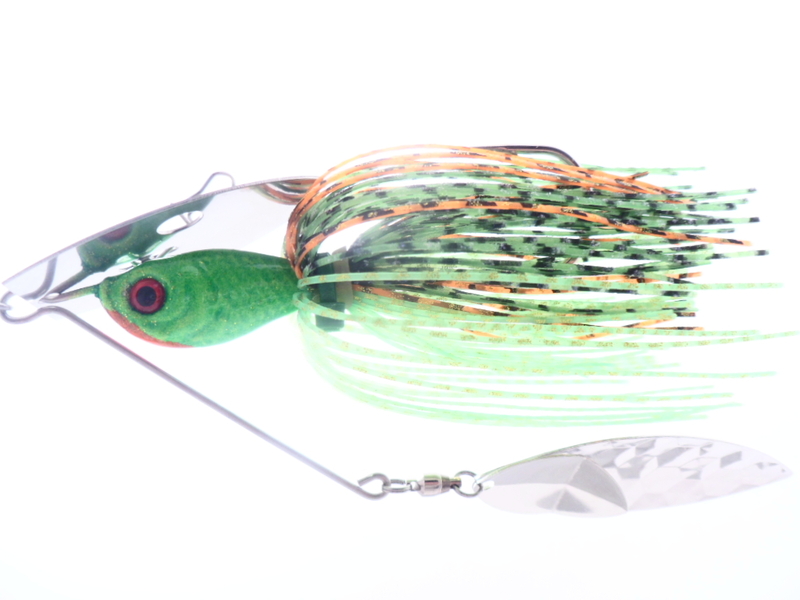 The BHO blades give this bait enough lift that you have full control of where it runs. With the rod tip down, it stays down and can be burned. With the rod tip up, on a medium retrieve, it will create a wake or bust the surface if desired! 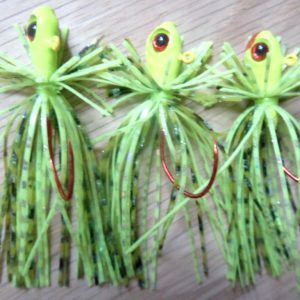 These baits are handcrafted/painted 1 at a time and the features include: 6/0Mustad hook, 55 strand silicone skirt, Large 3D molded eyes, 100% Powder paint. 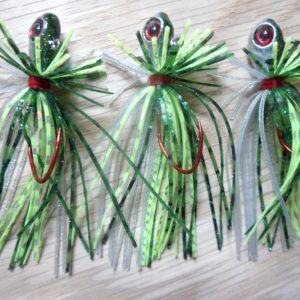 Skirts are now zip tied in place to ensure that these baits will hold up longer than ever. 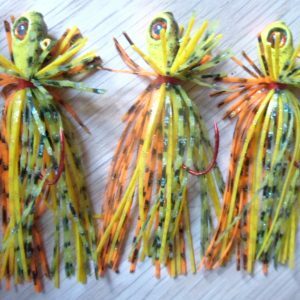 The larger versions of these baits will handle any size trailer without the loss of action. As with any bladed jig, we do recommend joining the trailer on with the use of a trailer hook.